2015: graduated from the Riga Stradins University Institute of Stomatology and acquired a dentist’s certificate. He continued his studies at the Riga Stradins University, and in 2017 he obtained a certificate in oral and maxillofacial surgery. Dr Aleksejs Dons acquired his experience working as an emergency medicine doctor at the International Airport “Riga”, the private clinic “ARS”, the State Emergency Medicine Service as a doctor of emergency medicine. 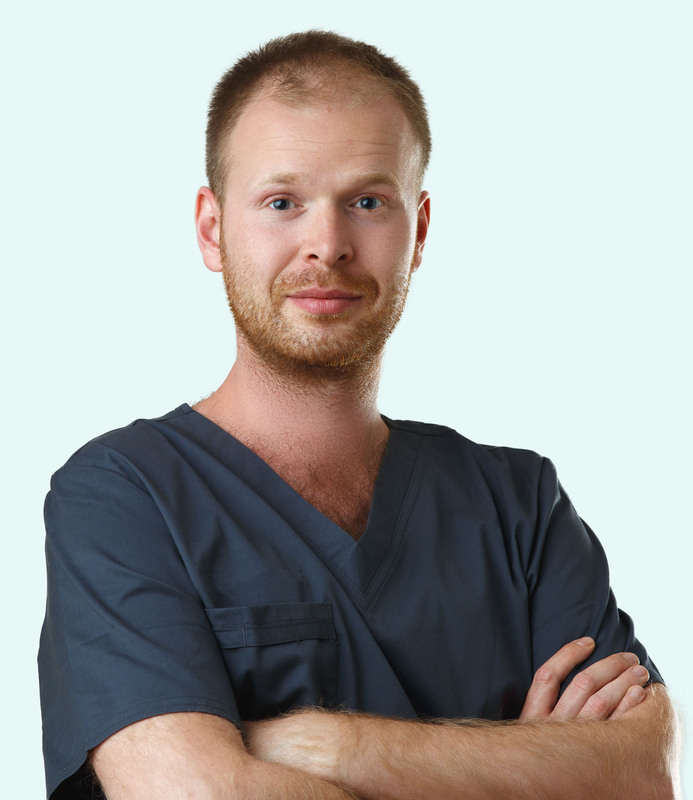 He joined the dental clinic “SIROWA Riga” in 2017, while he was simultaneously working at the Emergency Centre of the Riga Stradins University Institute of Stomatology and the Oral and Maxillofacial Surgery Centre of the RSU Institute of Stomatology. Takes an active part part in scientific research, focusing on soft tissue regeneration, use of biomaterials in oral and maxillofacial surgery. 2011: An in vitro and in vivo Study on the Intensity of Adhesion and Colonization by Staphylococcus epidermidis and Pseudomonas aeruginosa on Originally Synthesized Biomaterials with Different Chemical Composition and Modified Surfaces and their Effect on Expression of TNF-α, β-Defensin-2 and IL-10 in Tissues. Oral presentation in 9th Congress of Baltic Association for Maxillofacial and Plastic Surgery. Tartu, Estonia. 13.05.2017.